I have recently been involved in conversations about asset management. All local governments are required to have Asset Management Plans for all sorts of assets such as parks and sportsfields, sewer and water networks, roads, bridges etc. I was wondering how many councils have shoreline or foreshore management plans. We have visited many foreshore restoration projects over the years and many started out being extremely successful but as time passed, without active management foredunes can degrade from storm erosion, plant dieback and weed infestation. In some cases the restoration project was never finished leaving stretches of beach still degraded and infested with exotic plants. How would a community react if their parks and reserves remained half finished? What if the Council allowed them to be infested with weeds? What would happen if the Council did not repair potholes in their roads? New Zealand is an island nation and it would be folly to not actively manage the foreshore, especially where we have invested in infrastructure in the coastal hazard zone. As Betsy Young reminded me last week, we have taonga growing on our foredunes and it needs protecting and nurturing. Ask to see your Council’s Foreshore Asset Management Plan. If they have one, are they actively applying it to your foreshore or is it gathering dust on the shelf? 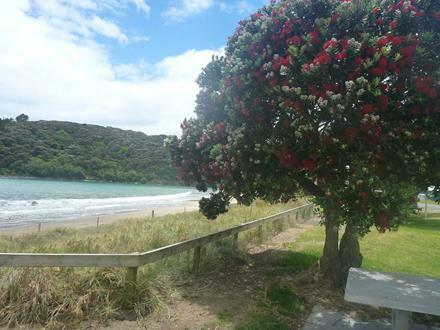 and we will visit both east and west coast beaches north of Auckland. Like last year we will be hosting a DUNES101 course on the day before the conference, i.e. Tuesday 26 March 2019. Keep an eye on our conference page for the programme, registration process and other details. With so many interesting coastal areas around in the area you may even want to spend a few extra days. 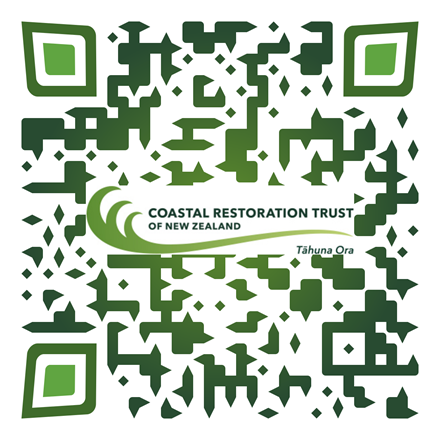 The Coastal Restoration Award recognises the team work and tenacity to motivate people to work together to achieve “on the ground” results. Nominations for this award are now open and will close on 31 January 2018. Go to our website to download the information and nomination form. The award is kindly sponsored by Coastlands Plant Nursery. Applications for our 2019 study award have opened early this year to give students a chance to apply before their summer projects. The purpose of this study award is to provide funds to assist with an individual’s post-graduate level research to improve understanding of the coast and its management. 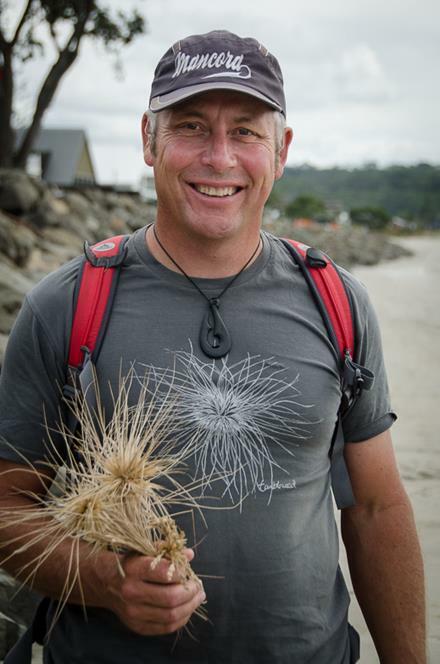 The study award is usually $2,000 plus expenses to travel and present at the Coastal Restoration Trust Conference. Go to our website to download the information and application form. Our 3-year Difficult Sites project which focussed on complicated sites to restore has just been completed. 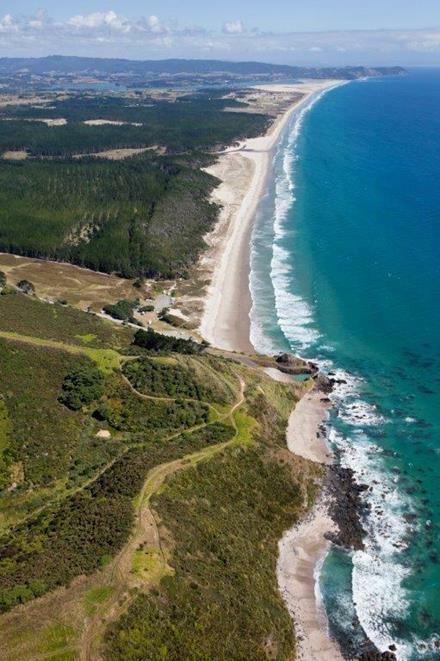 One of the sites worked on was Ngarahae Bay on the west coast of the North Island. 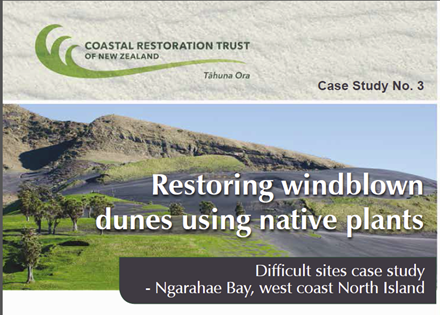 Restoring this site was very successful and it has resulted in a new article for our handbook. 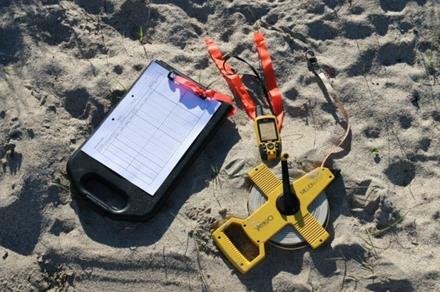 14.3 (Managing Dune Monitoring Data) on our website. The final report can be read here. Next year a web application will become available to log all your data and analyse it. The NZ fairy tern is NZ’s rarest breeding bird with a population of only 40 birds (11-12 breeding pairs). One of the four nesting sites is on the Royal New Zealand Air Force weapons range at Papakanui Spit, at the Kaipara Harbour. Luckily for the birds this is a no-go area for the public and the Air Force provides extra protection by not using the site during the breeding season. Now the Defence Force is helping DOC to create some raised nesting sites to protect the birds from extreme tides and storms. Johannes Fischer received our post-graduate scholarship in 2016 and as an indirect result of the research he did, discovered that the species of diving petrel that he studied on Codfish Island is different from the South Georgian Diving Petrel (Pelecanoides georgicus). Up until now it was thought that they were one and the same. The SGDP was considered 'Nationally Critical' in NZ. Johannes and fellow researchers have named this new species Pelecanoides whenuahouensis sp. 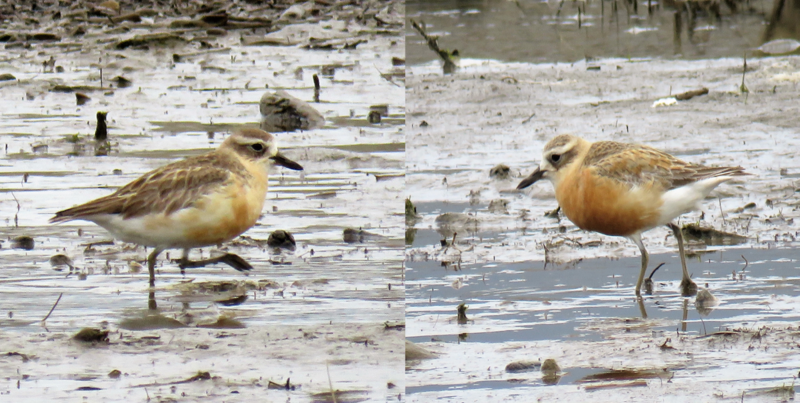 nov. Due to severe reductions in its range and the very low number of remaining birds (~150 individuals limited to a single breeding colony on Codfish Island/Whenua Hou) the species warrants a listing as `Critically Endangered'. For more, read or download the paper here. During his research on the conservation of the Whenua Hou Diving Petrel (then thought to be the South Georgian Diving Petrel) Johannes Fischer wondered if insulated artificial nesting boxes for Procellariiformes (petrels and albatrosses) would provide similar conditions to natural nesting sites (burrows). These kind of boxes would make breeding biology studies easier as the lids can be lifted off. He conducted some trials in the Castle cliff dunes and found the nest box temperatures and humidity to be similar to natural burrows. Read or download the full paper. 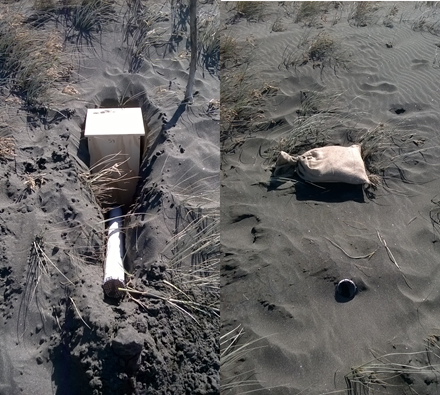 Following this trial, he successfully installed 10 nest boxes in the dunes of Whenua Hou (Codfish Island) and one chick was raised successfully to fledging. Fingers crossed for more nest box chicks in the upcoming season! A new app developed in the Far North encourages good behaviour on 90 Mile Beach. It tells about the history of the beach, about the wildlife and how to drive on the beach responsibly. Many drivers don’t realise that hard braking, fast acceleration or doing wheelies and donuts kills thousands of baby shell fish. Information and stickers, like the picture on the left, have been produced to raise awareness and educate drivers and other beach visitors. Scan the QR code on the left with your phone's QR code scanner (which you can download from eg. Play Store) to go to the website or go there via this link. The item above was inspiration to see if we could create our own QR code and it was very easy to do. Scanning this code with your phone, or even a black and white version, will take you directly to our website. It doesn't matter what size it is or whether it is colour or black and white. 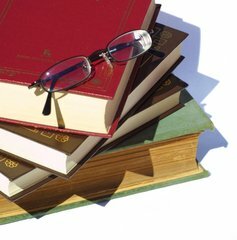 If you want to refer people to our website on eg. signs at the beach you can use this code. A picture and link in one. Are you part of an awesome conservation group that could use some support to achieve its goals? The current WWF-New Zealand Habitat Protection and Environmental Education Action Funding rounds opened on 23 October. Check here for the criteria and instructions on how to apply. Applications close on 18 November. 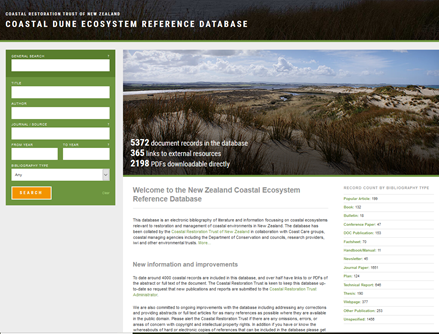 These are some of the 2500 references that are directly available from our database of over 5000 coastal references”. The trust is spending around $3000 on updating this database in 2018. We’d love to have a sponsor for the database so that we can keep it up to date, similar to the arrangement with Coastlands Plant Nursery who sponsor our planting calculator. If you can help or want to suggest someone, get in touch. Some of you may want to have your say in this process, which isn't a "consultation" and no decisions will be taken from it at this stage, but what you say and the information gathered is important to shape what happens next. The survey will take 2 -5 minutes to complete, depending on how much additional information you wish to provide. New Zealand’s coastline, one of the world’s longest, is under attack. When cyclones and king tides coincide, there is double trouble at the sea’s edge – erosion and flooding. 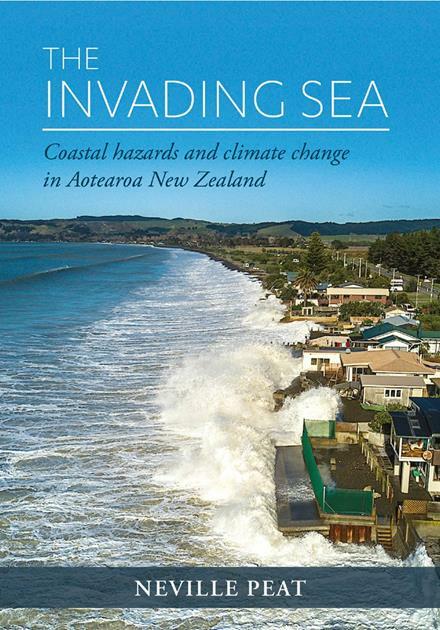 This is a book for a general audience about adaptation to climate-change impacts on New Zealand’s coast – impacts that are shaping up as the greatest environmental issue New Zealand and its low-lying atoll-state associates in the Pacific are likely to face in the 21st century. I have been attending conferences since the year 2000. I have seen many good PROJECTS, but there is a lot of work to be done yet. I know that funding of projects and coast care groups has come mainly from councils. At times councils have to deal with adverse events such as floods, earthquakes, cyclones and other storm events, which require lots of funding over many years to repair damage. I hope that councils and coast care groups get enough funds to carry on the good work that they are doing and to maintain what has been planted in the past. Good luck and see you at the next conference! 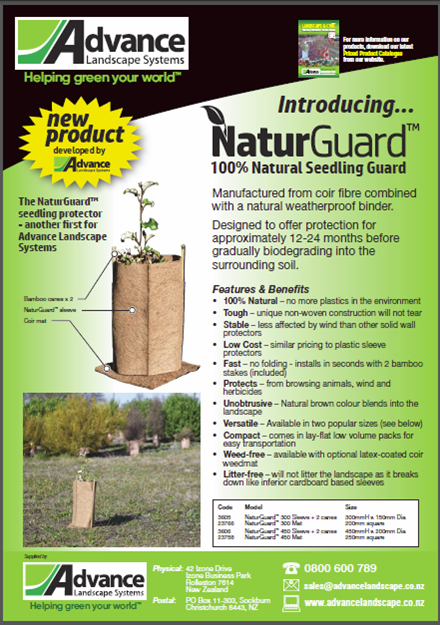 We were made aware of this new product recently, which might be useful for your plantings for next year. It is a 100% natural plant protector manufactured using coconut fibre. So no more plastics to have to clean up! Our initial fear that it would be cost-prohibitive is promised to be unfounded. Search for Combiguard on this website. After water and air, sand is the natural resource that we consume more than any other–even more than oil and, incredibly, we’re running out of it. 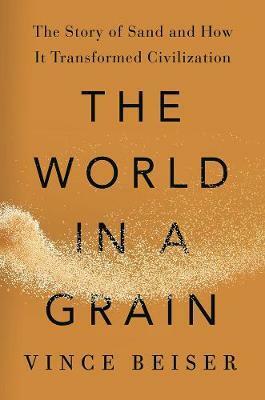 The World in a Grain is the true story of the hugely important and diminishing natural resource that grows more essential every day, and of the people who mine it, sell it, build with it–and sometimes, even kill for it. It’s also a provocative examination of the serious human and environmental costs incurred by our dependence on sand, which has received little public attention. Journalist Vince Beiser takes readers on a journey across the globe to explain why sand is so crucial to modern life. The result is an entertaining and eye-opening work, one that is both unexpected and involving, rippling with fascinating detail and filled with surprising characters. Wishing you wonderfully warm and happy holidays! We look forward to seeing many of you in Warkworth in March.